You can choose hardwood flooring with a glassy-smooth finish, a more textured brushed look, or a deeply grooved hand-scraped look. The smooth finish gives an elegant, formal look, while the more textured varieties give a rustic feel that also helps hide day-to-day dings and scrapes. 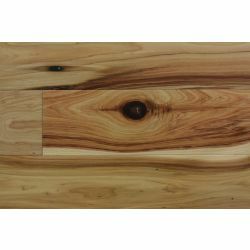 Not only are there different species of hardwoods you can choose, within each species there are different ways of cutting the planks relative to the wood’s grain. 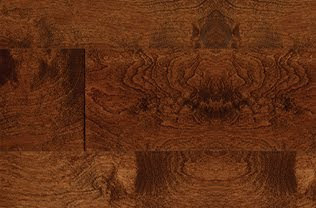 Flatsawn, riftsawn, and quartersawn planks will all reveal the wood’s grain in different ways, so be sure to see all available products within a species before making a final decision. 3. The subtleties of plank width. You might think that the width of each individual plank wouldn’t make a difference, but there’s a reason wholesale hardwood flooring distributors stock their planks in differing widths. Most designers agree that narrower planks convey a more formal feel, while wide ones give a more down-home effect. The thickness of your hardwood flooring boards might seem like it shouldn’t matter much at all — after all, you can only see the top surface once it’s installed! 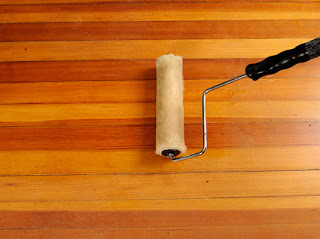 However, thickness makes a difference when it comes time to refinish your floor — thicker planks can take more sandings. If you ever sell, potential buyers will want to know how much hardwood flooring they’ve got left to work with. 5. The ranging of color. You can’t reach a reliable understanding of what the installed floor will look like based on a one-board sample. All species vary in color from plank to plank, and some vary quite considerably! When purchasing hardwood flooring, make sure you understand the full color range for whatever product you choose. Contact Wood Monsters today to talk with our hardwood flooring professionals about choosing the perfect flooring for your specific needs. We look forward to hearing from you! 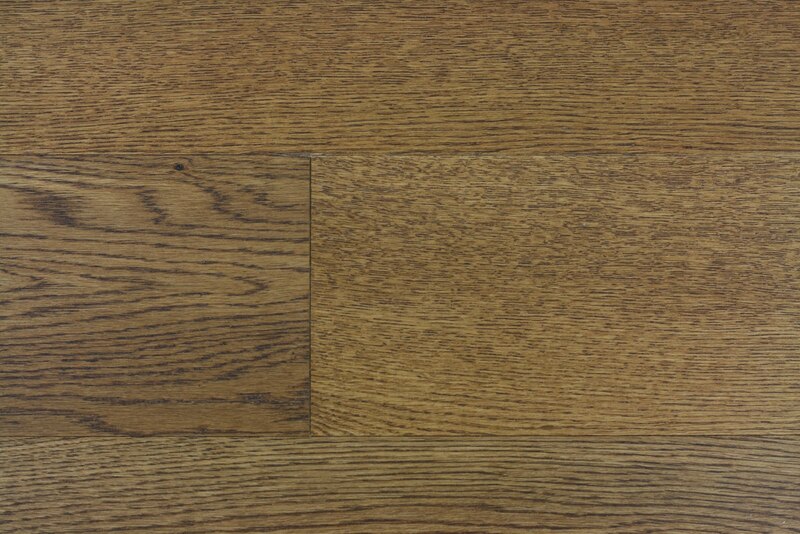 Wholesale hardwood flooring, because it is a natural product, interacts with whatever environment it’s placed in. 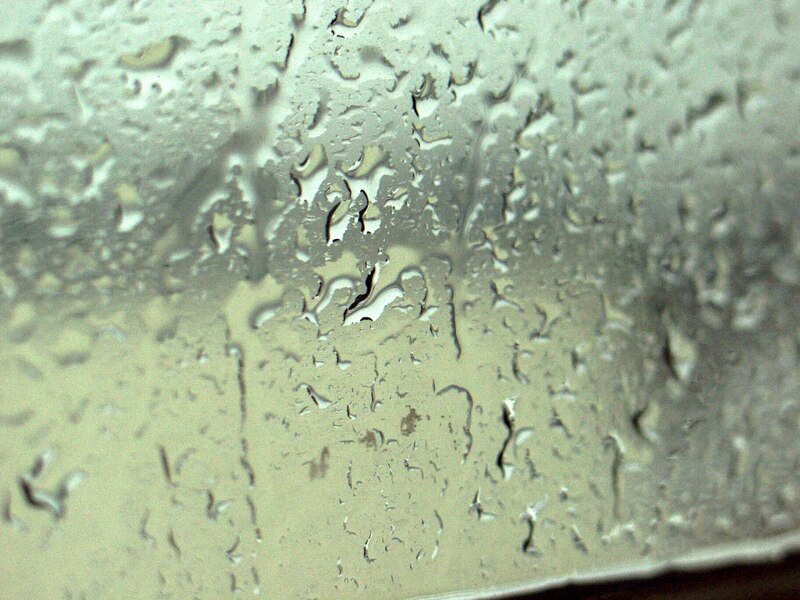 If the environment is moist, the flooring will absorb some of that moisture. If the environment is dry, the hardwood flooring will become drier, too. These moisture-related variations are responsible for many hardwood flooring problems. Here are a few principles that will help you understand these issues. The first thing you need to know is that the drying of wood is an equilibrium process that is ongoing for the life of the wood. Many people assume that once the wood is harvested and dried, it stays that dry for the rest of its life, but this isn’t so. 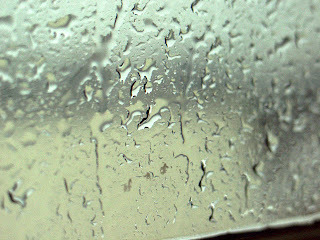 As the drying process unfolds, the wood will eventually reach what is called equilibrium moisture content (EMC), which simply means that it’s reached a point where its moisture content is in sync with the surrounding air — it’s neither drying out further nor absorbing moisture from the environment. The reason this is important is because wood changes shape when its moisture content changes. Thus, if the wood is not at EMC when it’s installed, it will deform as it reaches its equilibrium point, which can lead to cupping, checking, or both. Cupping occurs when the surface layer of the wood dries faster than the underlying strata. The surface layer shrinks and drags the whole piece into a bowed or cupped shape. Checking occurs when the mismatch between the shrinking surface and the lower layers is so extreme that the surface wood actually cracks. Your Wood Monsters wholesale hardwood flooring representative can tell you more about how to avoid these problems in your installation. Contact your Wood Monsters representative today to get your project off on the right foot so these moisture-related problems don’t affect you! Google Insights is a wonderful search analysis tool that allows anyone with a Google account to see the popularity of a certain search term. For instance, by looking up "puppies for sale", you can find that the puppy breeds being searched for most in the US this past week have been bulldogs, pitbulls, huskies, and German sheperds. As purveyors of high-quality wholesale hardwood flooring, we pride ourselves in staying on top of consumer trends and finding out what end-customers are looking for. This allows us to provide our resellers, contractors, and hardwood flooring installation experts the information they need to help their customers. That being said, we thought it would be fun to find out what have been the most sought-after hardwood flooring varieties in America for the past three months. Using Google Insights, we examined the phrases "hardwood flooring", "hardwood", and "hardwood flooring for sale" to see what searches were trending and what searches were waning. Here are the top five hardwood flooring varieties most searched by Google users since March. Hopefully you can use this information to address your customers' concerns or make suggestions to them. Enjoy! It's not surprising that bamboo flooring is the most sought-after hardwood flooring material in the country right now. With many Americans looking for eco-friendly, sustainable building materials, bamboo is being used more and more. Being a type of grass, bamboo grows much faster than traditional hardwood species, making it a much faster renewable resource. Bamboo is also very versatile in appearance, coming in colors ranging from dark brown to an almost off-white yellow. It even as a spiritual aspect to it: some cultures believe possessing bamboo allows one to fuse strength and renewability into one's home. White oak flooring has been a favorite in American homes for years, and for good reason. It is bright, versatile, durable, and is naturally resistant to water and rot. Typically light brown in color, white oak hardwood flooring takes well to different color stains and finishes, making it decoratively versatile and complementary to nearly any design scheme. 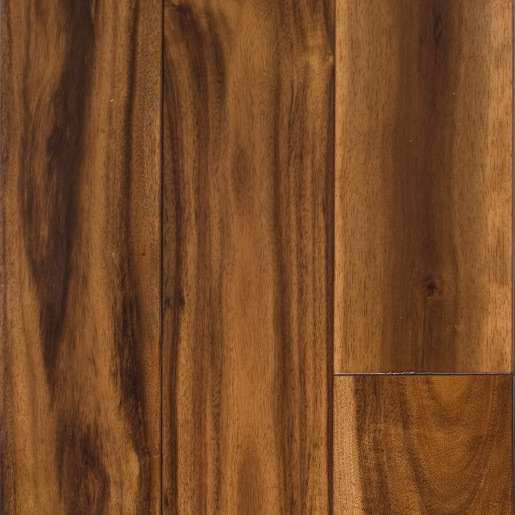 One of the toughest exotic hardwoods on the market, Brazilian Cherry flooring is as durable as it is attractive. Ranging in color from light tan to deep red and featuring wavy, often unexpected grain patterns, this species is an eye-catching addition to any room. While not technically a hardwood product, laminate flooring is still a popular choice among homeowners that want the look and feel of traditional hardwood without the higher up-front costs. While there are many different styles of laminate flooring to choose from, it's important to stress to your customers that laminate does not have the same durability and lifespan as genuine hardwood flooring. While they may save money at the beginning, the cost of replacing laminate flooring can cost a whole lot more than the basic maintenance required to keep hardwood looking new. Not a specific species of hardwood flooring but still quite popular, engineered flooring provides a solid hardwood material that is relatively easy to install and can be installed in any room of the house, including the basement and second stories. Engineered hardwood flooring is also less susceptible to moisture-related problems, making it perfect for bathroom and kitchen applications. We hope these insights help you serve your customers better. If you have any questions regarding these flooring varieties, contact Wood Monsters today. We look forward to hearing from you. Once you’ve made the decision that you want the great look and durability of hardwood flooring in your home, the most common solution is probably to find a hardwood flooring contractor and let that firm handle all the details. But if you’ve got a moderate amount of skill working with wood, you may elect to go the DIY route — finding a good price on some wholesale hardwood flooring and doing the work yourself. Once the floor is installed, it’s time to stain and seal the floor. Here are three tips from the pros to make that process neat and trouble-free. Probably the single most common rookie mistake in floor finishing is staining and sealing hardwood flooring that’s not perfectly clean. More than likely, the floor will have just been sanded, and any fine particles of dust that get trapped under the finish will be there for good! Vacuum, vacuum again, and then use a tack cloth to pick up the last of the grit. You’ll want to use a rag or roller to apply the stain, but before you do, map out the job in your mind. Don’t stain yourself into a corner! Always work with the grain, using long, even strokes. Finally, make sure you’re not using a stain product that will raise the grain, or you’ll need to sand again. Once your stain has dried thoroughly, apply a polyurethane sealant. Again, work with the grain of the wood. Once the poly is thoroughly dry, you’ll want to sand it lightly, but don’t rush the job — sanding when the sealer is still wet will turn your wholesale hardwood flooring into a scene of wholesale destruction! After sanding, apply the final coat of polyurethane for a glass-smooth finish. Contact your Wood Monsters sales representative today to learn more about applying a stain to hardwood flooring. Welcome back to our regular blog series, Wood Monsters Featured Product. This week we're shining our spotlight on one of our favorite prefinished hardwood flooring products: Cypress. 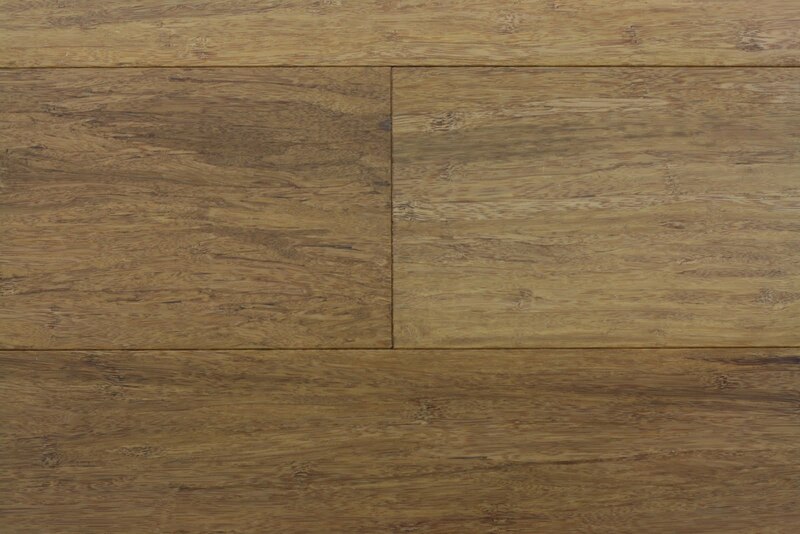 Cypress hardwood flooring features a wide range of colors: white, cream, yellow, brown, red, olive, tan, copper, and many more. The combinations of colors in Cypress flooring make it visually engaging but also quite versatile - you'd be hard-pressed to find a color scheme or home decor that wouldn't look great paired with a Cypress hardwood floor. 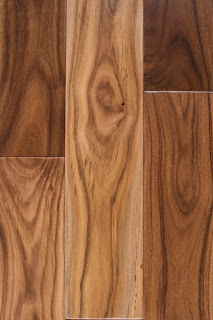 Cypress flooring also has unique and interesting grain patterns and tree markings. Though quite random, the markings fit together nicely once installed. 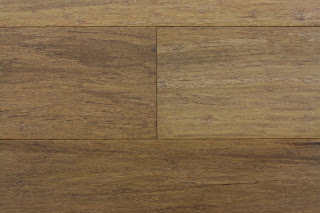 Cypress hardwood from Wood Monsters is also one of the more durable flooring materials you can buy. Cypress already has high Janka hardness and density ratings, and our prefinished materials are engineered with high-density fiber technology. This combination of strength and density means your flooring will experience little buckling, warping, or cupping, and will be more resistant to dents, scratches, and wood-boring insects. Contact your Wood Monsters representative to learn more about our prefinished Cypress hardwood flooring, or visit www.WoodMonsters.com. Until recently, hardwood flooring professionals have had only one choice when it comes to adding color to their floor: staining it. Indeed, most hardwood installation contractors only use common brown and red stains when finishing hardwood floors. 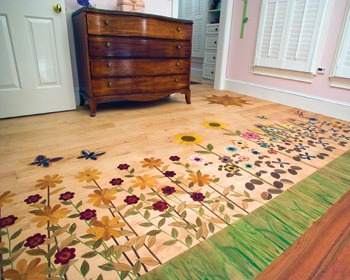 Hardwood flooring doesn't need to be restricted to traditional colors, though. There is another option for the more adventurous homeowner: aniline dyes. Unlike traditional hardwood stains and finishes, aniline dyes are available in any color you can imagine: jade, ruby, gold, teal, etc. Using aniline dyes on hardwood floors gives homeowners and installers the ability to match the floor to virtually any color scheme and decor. It is also a great way to add drama and energy to an otherwise drab room. Dyes are also absolutely transparent. They soak directly into the finished wood surface, adding color without sacrificing the wood's natural grain and texture. You can even dye different boards different colors, creating dramatic color combinations that are sure to impress your friends and family. Aniline dyes do come with a few drawbacks, of course. They can be much more difficult to apply than conventional stains, and if they’re not applied with great care, the finish can have an uneven appearance. Some hardwood flooring installation companies or contractors are unfamiliar with the use of aniline dyes, which is unfortunate; even though they can be difficult to work with, the design benefits of aniline dyes are well worth the effort. And because they are more difficult to work with, flooring installers can often charge a bit more than they would for a traditional stain. At Wood Monsters, we pride ourselves in helping contractors and hardwood flooring professionals with the home design process. Contact us today to discuss your customer's specific design needs and how our high-quality flooring products can play a part. 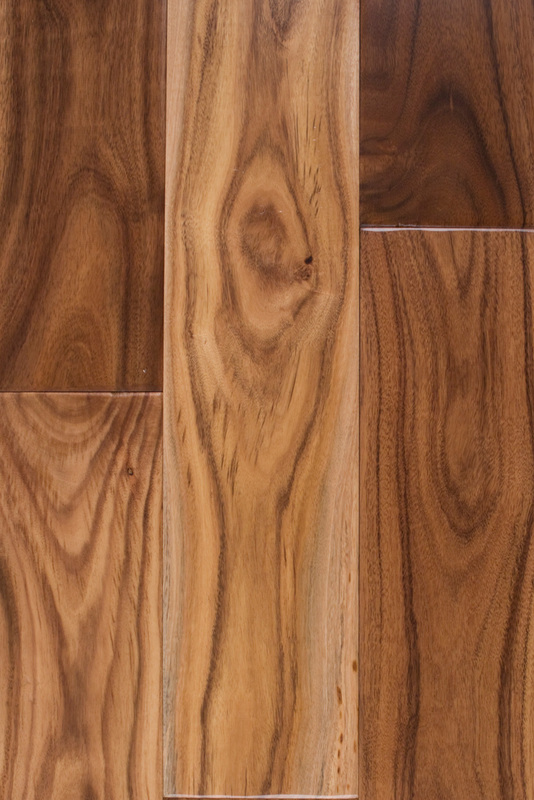 Like any specialized trade, the wholesale hardwood flooring industry has its share of trade-specific terms that may be unfamiliar to the layman. 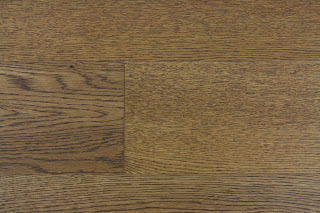 Whether it’s a base shoe or a trowel fill, if you don’t take the time to familiarize yourself with basic hardwood flooring terms, you’ll be at a disadvantage when communicating with your hardwood flooring professionals. By contrast, if you do know your stuff, it’ll be that much easier to communicate with hardwood flooring installers, designers, and other tradespeople. Not only will you save time when conversing with these folks, you’ll go a long way toward avoiding the kind of costly misunderstandings that mar too many jobs. Luckily, it’s not too hard to get yourself up to speed. If you’re looking at a hardwood flooring installation in your future, chances are you’re already perusing home-improvement and design magazines, both for ideas and for pleasure. Try broadening the scope of your reading to include do-it-yourself-focused publications — even if you have no intention of doing the work yourself. Not only will you quickly master the vocabulary, you’ll gain valuable insights into what various home improvement jobs entail — information that will only help you as you communicate with home improvement pros, from general laborers to wholesale hardwood flooring suppliers. Another great way to learn the vocabulary of hardwood flooring terms is to take advantage of the many valuable resources online. At Wood Monsters, we particularly recommend the glossary featured in the industry-standard National Wood Flooring Association Installation Guidelines. Follow the link and search for “glossary” — 15 minutes glancing over these few pages and you’ll be talking like an wholesale hardwood flooring expert!